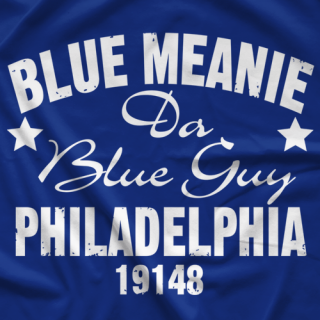 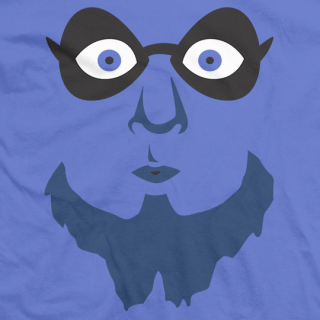 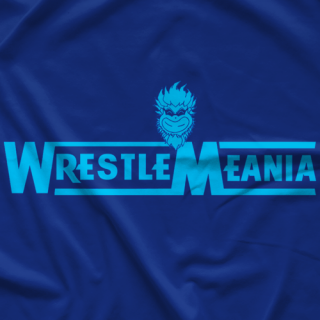 Since 1994 Brian Heffron aka Blue Meanie has been one of the most fun loving and mischievous characters in wrestling. 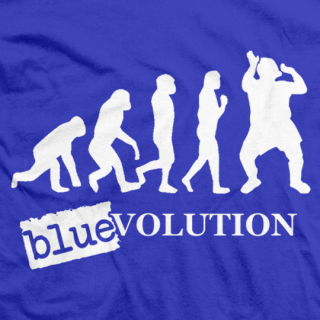 He's been in ECW, WWE, various independent wrestling promotions and several independent films. 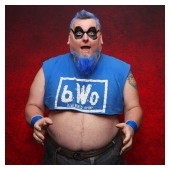 Best known for his comedy and wrestling parodies with the bWo, KISS, Col. DeMeanie, Sir Meanie, The Fabulous Ones and BlueDust. 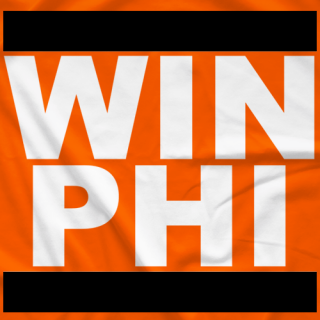 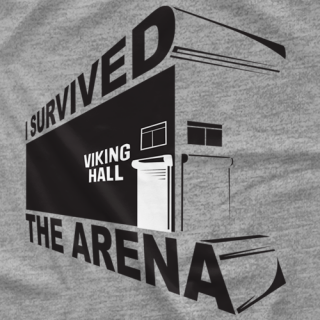 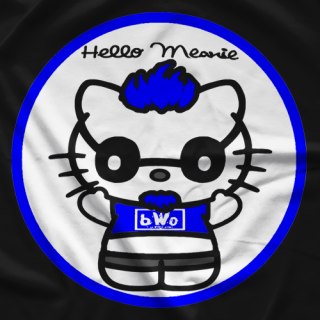 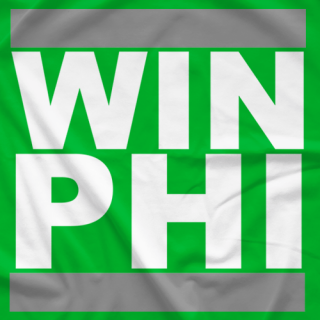 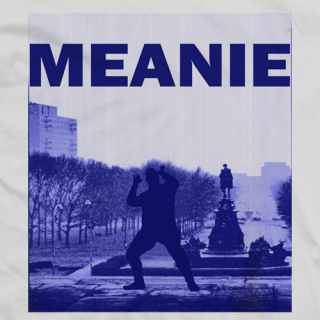 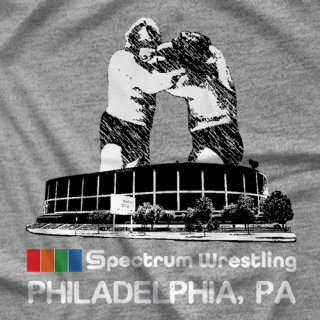 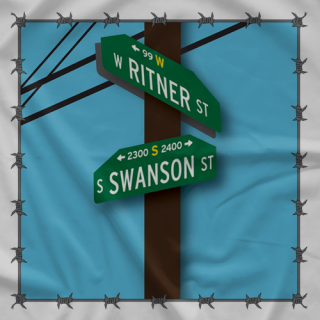 Now, he's here at www.ProWrestlingTees.com to share some of his designs to wear to your favorite independent or televised wrestling event! 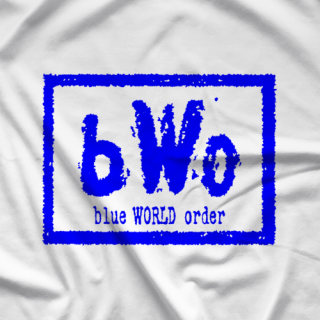 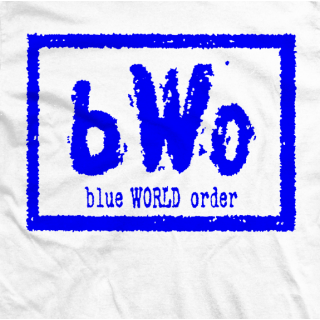 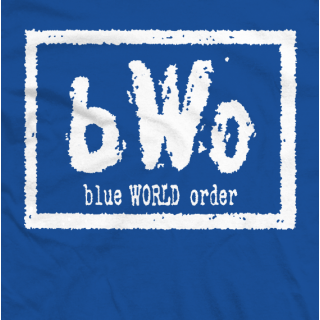 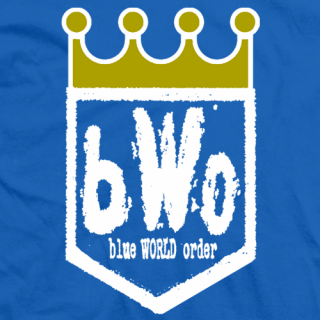 The Blue World Order (bWo) was a stable of professional wrestlers formed at Extreme Championship Wrestling's November to Remember 1996 event at the ECW Arena. 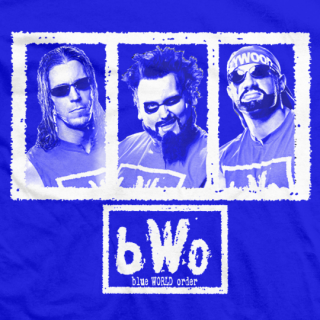 The stable lasted until August 1998 and was revived briefly in World Wrestling Entertainment during the summer of 2005. 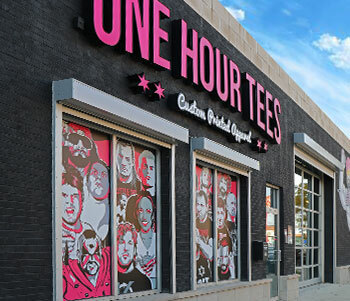 Travel hundreds of miles with nothing to do? 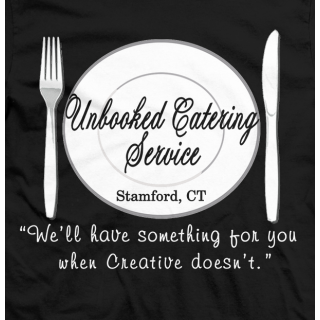 Well, bring yourself on over and lay the Snack Down at the ole "Unbooked Catering" buffet!!! 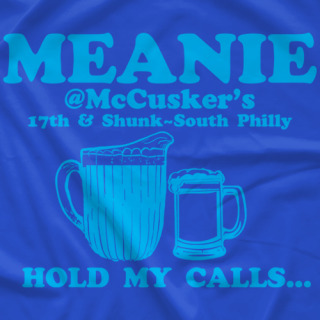 We'll have plenty for ya when creative doesn't. 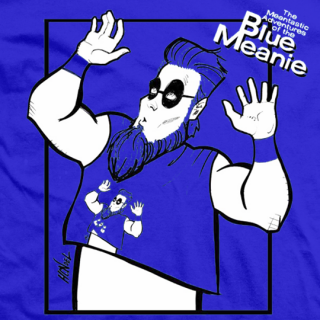 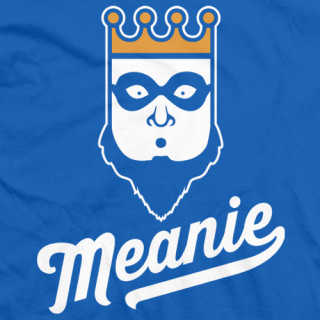 Here is a t-shirt of the Blue Meanie designed as a comic book cover! 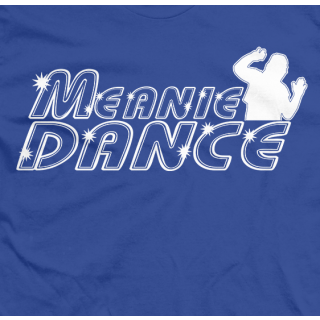 This shirt was specially design for Meanie by the remarkable comic artist Howie Noel!